07 April 2017 – Singapore: The largest sports media property in Asian history, ONE Championship™ (ONE), has just announced a blockbuster co-main event bout at ONE: DYNASTY OF HEROES. 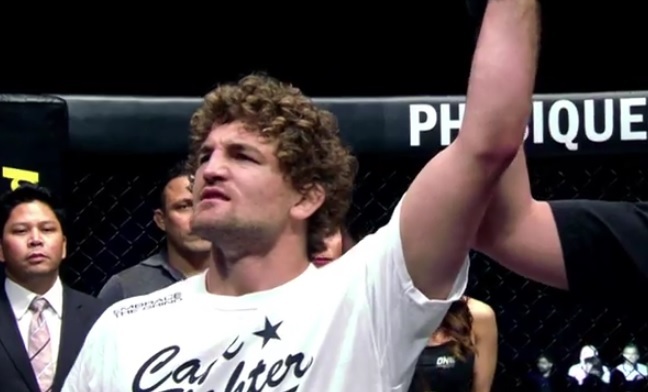 ONE Welterweight World Champion Ben “Funky” Askren will return to the ONE Championship cage to defend his title against rising young Malaysian star Agilan “Alligator” Thani. ONE: DYNASTY OF HEROES is set for 26 May at the Singapore Indoor Stadium and will also feature ONE Women’s Atomweight World Champion Angela “Unstoppable” Lee taking on challenger Istela Nunes of Brazil in the main event. A former NCAA Division I All-American, Ben Askren is a collegiate wrestling legend and one of the finest mixed martial artists in the world today. In just a few fights in ONE, Askren was able to seize the ONE Welterweight World Championship with a resounding technical knockout victory over Nobutatsu Suzuki. The highly-skilled Askren is widely considered to be the absolute best in his division and one of the best fighters in the world pound-for-pound. Next for Askren is a title defense against Malaysian welterweight Agilan Thani. The undefeated Agilan “Alligator” Thani of Kuala Lumpur, Malaysia, will be making his return to the ONE Championship cage, following a spectacular submission victory over veteran welterweight Jeff Huang. The 21-year old prospect is a perfect 7-0 as a professional, with five of his seven victories ending in the first round. All of Thani’s victories have come by exciting finish. The young Malaysian has shown steady improvement in each outing, and has earned a shot at ONE Welterweight World Champion Ben Askren.